Maimouna Muhammad is the epitome of an empowered young women! 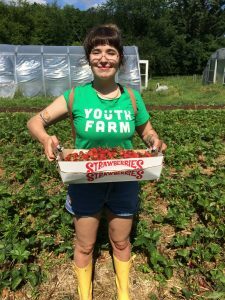 She is a true leader, not just at Youth Farm, where she helps grow youth leaders of the next generation, but in her community as well, where she’s making moves for social justice. 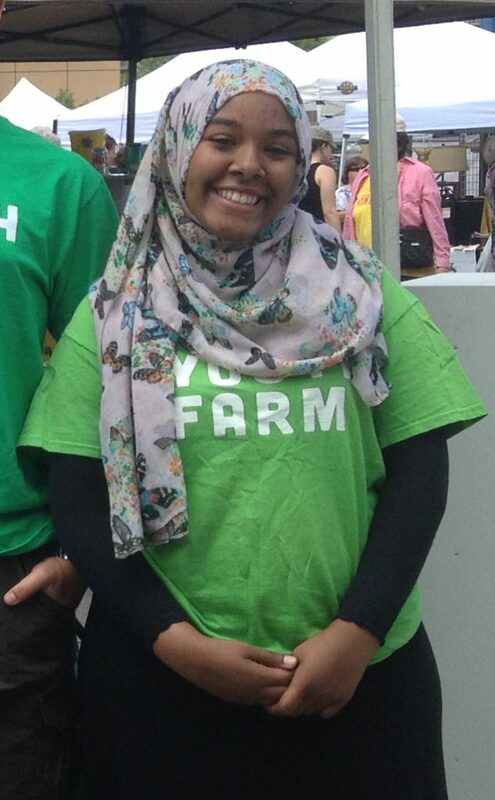 When Maimouna first came to Youth Farm in 2012, she was a volunteer that fell in love with the work we do, and would ask for a job at any turn, the whole while proving her worth and enthusiasm for youth work. She is determined and hard working, and has the drive to achieve whatever she sets her mind to. At Youth Farm, in her youth leadership role, Maimouna has a very powerful presence and influence on the youth and everyone that she works with. She leads by example by putting in work where it’s needed, and people gravitate towards her presence and want to listen to her. She helps create such a welcoming environment by talking and engaging with the youth in a friendly way. If something goes wrong, she helps to mediate situations very respectfully. She is very caring, but firm, wanting what’s best for everyone and making sure everyone has a good understanding of each other. She’s calm and collected with a very good energy about her. Maimouna knows herself, and she knows her worth. She puts her efforts towards raising her voice and being an activist to the cause of social justice. She is apart of organizations such as Voices for Social Justice, the Black Liberation Project, as well as the Black Lives Matter movement. 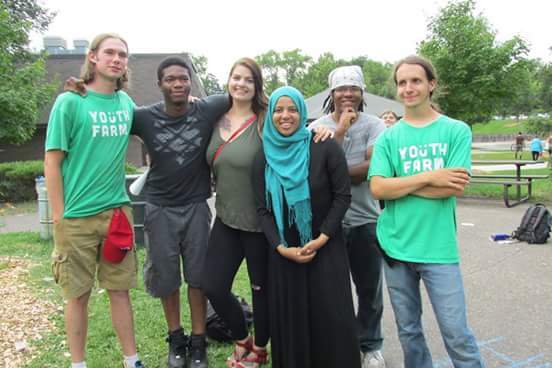 Youth Farm has enjoyed many laughs and revolutions with Maimouna Muhammad on our team these last four years. 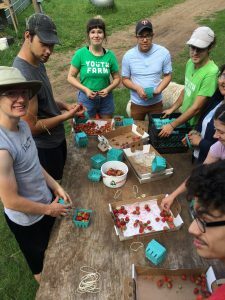 If you have been to a Powderhorn Youth Farm program or community event in the last 8 years chances are you have met Charlot and experienced the creative expression that has been the hallmark of his time at Youth Farm. Charlot began his Youth Farm journey in 2008. His early years in the program included trips to Farm Camp and days spent reading while gardening (yes, WHILE gardening…and walking….and eating). His love of a good book fueled his creative expressions. 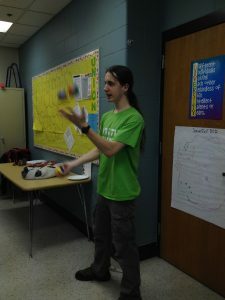 Soon he was not reading others’ tales, but writing his own and incorporating his creative expressions into Youth Farm focus groups like the zine group, martial arts, and movement and dance. 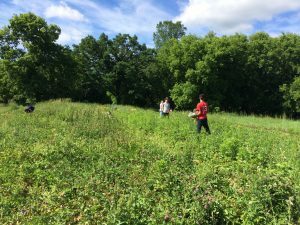 Throughout the years, he was often seen with a younger group of Youth Farmers, inspiring and mentoring them to also follow their own creative passions. 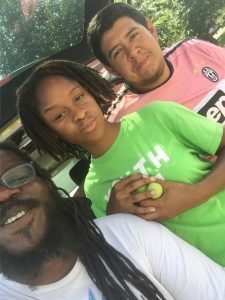 Not only did Charlot pave his own path but he also found ways to apply creativity to the Youth Farm way of doing youth work. 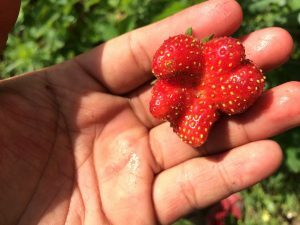 He plays dodge ball without touching the ball, applies permaculture practices to the redesign of our farm spaces, and incorporates finger weaving into after school cooking classes. While I have known Charlot for years and have been witness to the talents of this “man of epic tales”, I had the honor this year to work side by side with Charlot in the Powderhorn neighborhood. I experienced firsthand his dedication to his community as he poured time and energy into redesigning our Ba’hai Farm space (a space he has contributed to for the last 5 years). I learned from him the best practices and things that make the Powderhorn program unique. 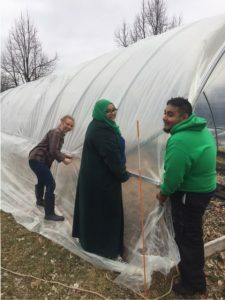 He supported the program as we transitioned in new staff helping to build our Green Central hoop house and stepping into increased leadership roles leading his own farm groups and focus groups. He mentored younger Project LEAD demonstrating dedication, thoughtfulness, and a passion to make his community better through creativity and hard work. 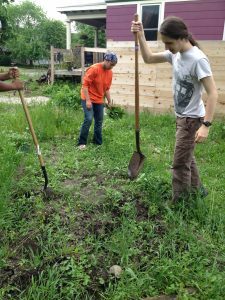 While Charlot’s official time at Youth Farm comes to a close as he moves on to college, he has left a lasting mark on our Powderhorn Program. 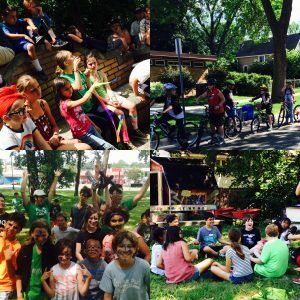 His contributions helped to foster a culture of creativity that makes the program uniquely Powderhorn. From top left clockwise: West Side Youth Farmers meet with LEAD staff Heaven to plan out afternoon focus groups, Frogtown bikers head off to morning garden time, West Side youth enjoy an afternoon get you know you game, and Frogtown YF plays capture the flag at new partner site Frogtown Farms. You wouldn’t think that running uphill on all fours would be fun after gardening all morning, But it’s a common event during Powderhorn lunchtimes. Amm-ra started these quadruped races and when not playing himself is often talking or sketching with the youth. Drawings are brought out and discussed, tips given, jokes and stories told. The group breaks down in the mad rush after seconds are called, but re-forms around Amm-ra in a few minutes. He is a steady presence, going about the tasks of the day with a wry grin and a joke. His humor and engagement brings many together, making the work light and the days memorable. I’ve worked with Amm-ra for three years and known him for many more. He brings his ideas and dedication to the community as a whole, working as an artist and actor at Heart of the Beast Puppet and Mask theater, as staff for Adventures in Cardboard and all around volunteer-about-powderhorn. 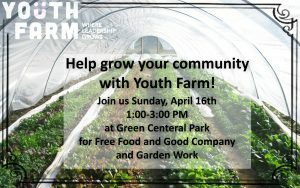 He’s been a longtime participant of Youth Farm, a fixture of the program we have come to count on. He started Youth Farm 2008 as the Comi-con King of Baha’i farm, and has been consistent, from participant to All-Star to LEAD, working tirelessly on what ever is the task at hand. It has been my privilege to work, and play, with him as he grew into the LEAD staff we are proud of today. 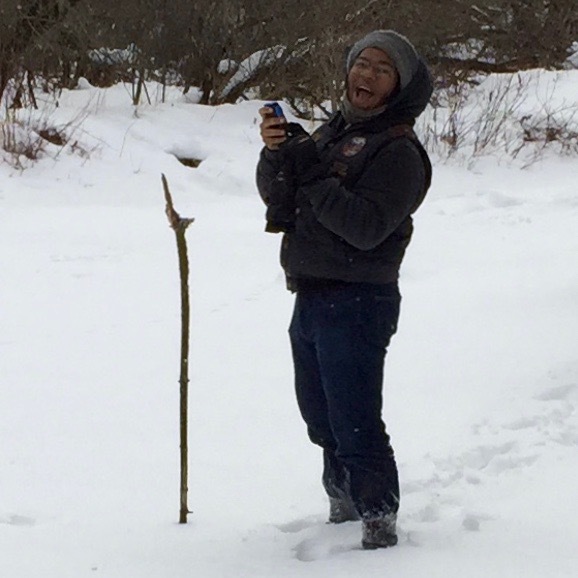 Amm-ra has graduated from South and plans to attend MCTC and keep himself involved in the Powderhorn community in the fall, but until then… Here’s to one more summer of running up hills. 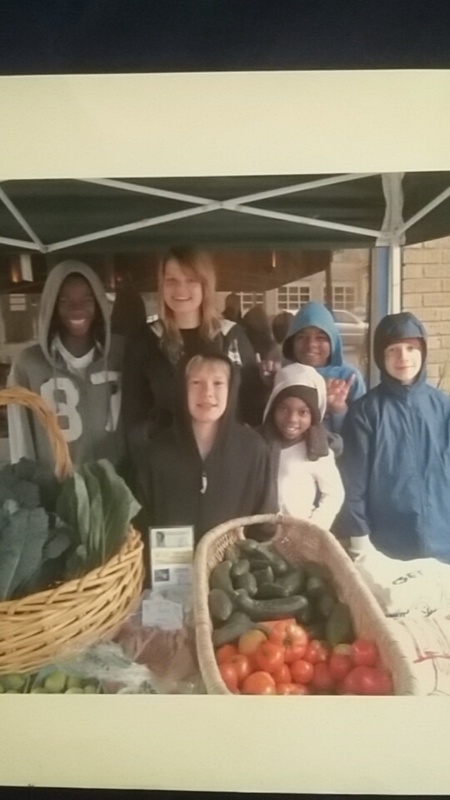 Calla started at Youth Farm as a participant in the West Side summer program in 2012. She spent her first day that summer looking bored, not participating, and projecting a “too cool” persona. After transitioning to the All-Star group later that week her interests, skills, and passions started to show. That summer she took on every leadership opportunity available to her. She then applied to be a part of the LEAD program and quickly became an active member of the West Side staff team. 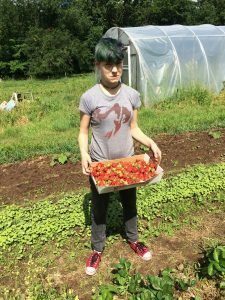 Calla has a passion for all things related to food and especially for being in the Youth Farm kitchen. Her dedication to cooking is apparent to anyone who has had the pleasure of working through a menu with her. 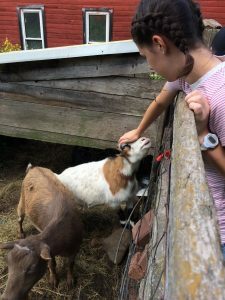 This past summer Calla contributed to our program’s success in numerous ways, most notably as the direct apprentice to our summer chef and also as an activity group leader. 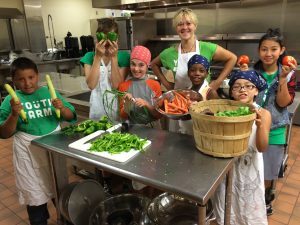 She started her days in the kitchen washing and chopping produce, preparing work stations, and teaching youth as young as 9 years old how to cook. 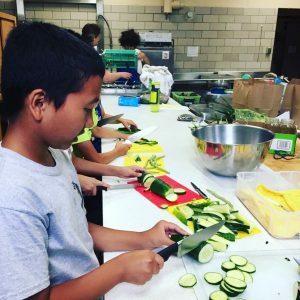 Calla, along with the summer Chef and 4-5 youth prepared the lunches that fueled our summer program. A program that regularly had 70 or more youth and staff, many of them lining up immediately for seconds. After lunch she transitioned to leading an afternoon activity group called “The Adventurers”. 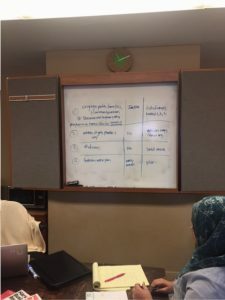 To help create a welcoming community, a cornerstone of good youth work, Calla created individual journals for each of the youth in her group so they could track their summer time learning and fun. Calla is graduating this year from Highland Park Senior High School in St. Paul. 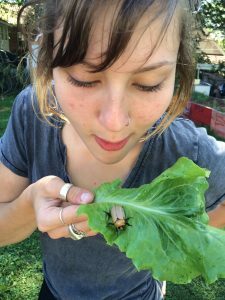 This fall Calla will be enrolled at the University of Minnesota, specifically in the Food Systems program within the College of Food, Agriculture, and Natural Resource Sciences.. We wish her the best and look forward to her returning to YF to share her new knowledge.